Originally published in the South China Morning Post, May 6, 2018. 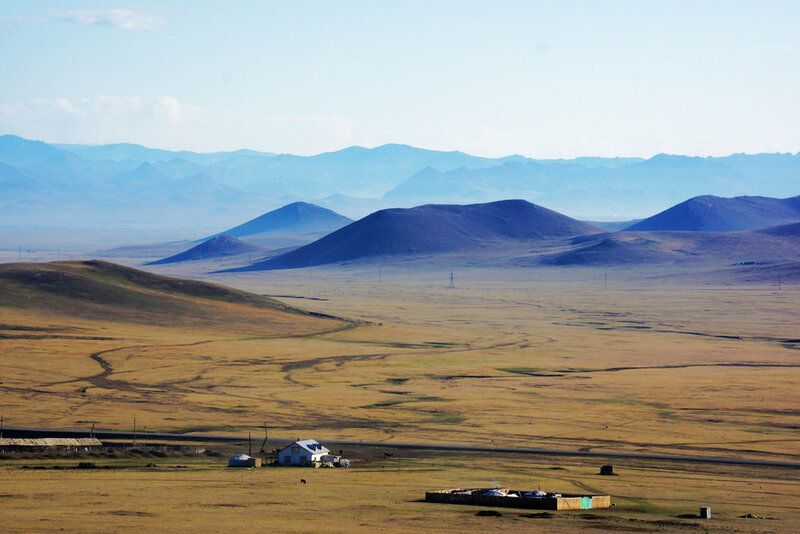 The endless Steppe, just outside Ulaanbaatar. As spring breathes fresh life into Mongolia, hopes that its capital Ulan Bator could soon be the stage for a different kind of thaw are melting fast. And for neutral observers in the country that had been nursing ambitions of becoming the ‘Switzerland of Asia’, it’s hard not to share Mongolians’ sense of missed opportunity. Until recently, speculation that the capital could host the upcoming summit between US President Donald Trump and North Korean leader Kim Jong-un had been raising eyebrows and prompting reflection by learned analysts across the world. Now, just a Tweet or two later from the world’s most powerful man and its hopes appear as empty as the vast open plains for which Mongolia is so famous. It had all started so promisingly for the country, which has long cultivated a reputation as a neutral state, maintaining strong relations with the entire region – including North Korea. Speculation over Mongolia’s role went into overdrive when its former president Tsakhiagiin Elbegdorj – perhaps sensing that a successful summit in Ulan Bator would put the country of population just 3 million firmly on the diplomatic map – jumped on Trump’s announcement in March that he was open to meeting the North Korean leader. Ulan Bator was best suited to play host, Elbegdorj said, without missing a beat. Mongolia’s current president, Khaltmaa Battulga, voiced his support, too. Following the inter-Korean summit between the South’s President Moon Jae-in and the North’s Kim Jong-un on April 27, Battulga praised Kim’s leadership and outlined the importance of the Korean peace process to the entire region. Most observers now see the DMZ as the overwhelming favourite to host the summit, as both South and North Korean governments have welcomed Trump’s suggestion. But there is still a glimmer of hope in Mongolian eyes. If, for whatever reason, the DMZ falls out of favour, the Mongolian capital has assets that would make it a logical back up choice. The country has hosted leaders from both the US and North Korea in the past – US President George W. Bush visited in 2005. And Pyongyang’s rail connectivity to Ulan Bator also eliminates concerns about the reliability of North Korea’s aged air fleet and its ability to safely transport Kim to the summit location. Ogi, 35, hoped the summit would bring further attention to Mongolia. 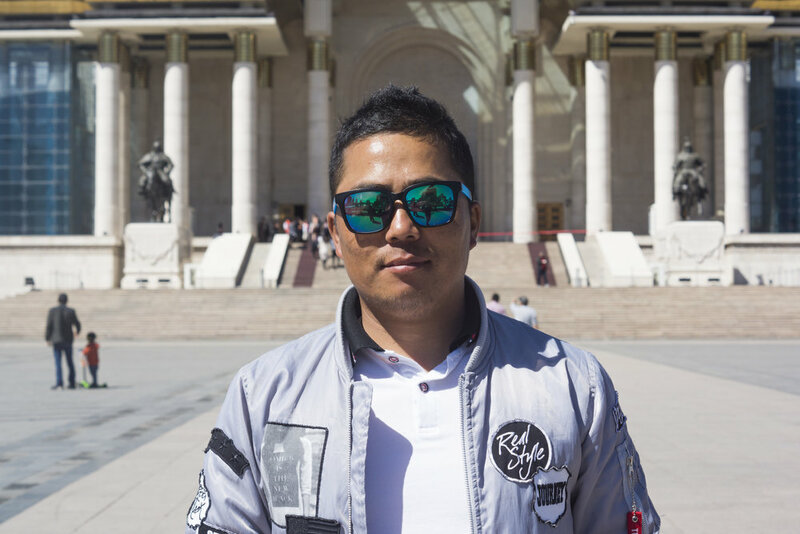 Ogi, 35, who sells oil paintings in front of Mongolia’s parliament, remains hopeful Ulan Bator will get its moment in the spotlight. “The whole world would have their eyes on Mongolia,” he said, wistfully. But Erdinbeleg, 37, a merchant in central Ulan Bator, is resigned to his home being overlooked. But protests would be unlikely, even if some in the city had grumbled about the summit’s would-be impact on traffic, according to reporter Boldsukh. “Mongolians don’t seem to generally have that same contempt for Trump and generally have a more favourable view of North Korea [than the rest of the world],” he said. Mongolian media has reported “low-level government meetings between North Korea and the US [have] taken place in Mongolia recently as the two countries initiated preliminary meetings”. UB to host the Trump-Kim summit? 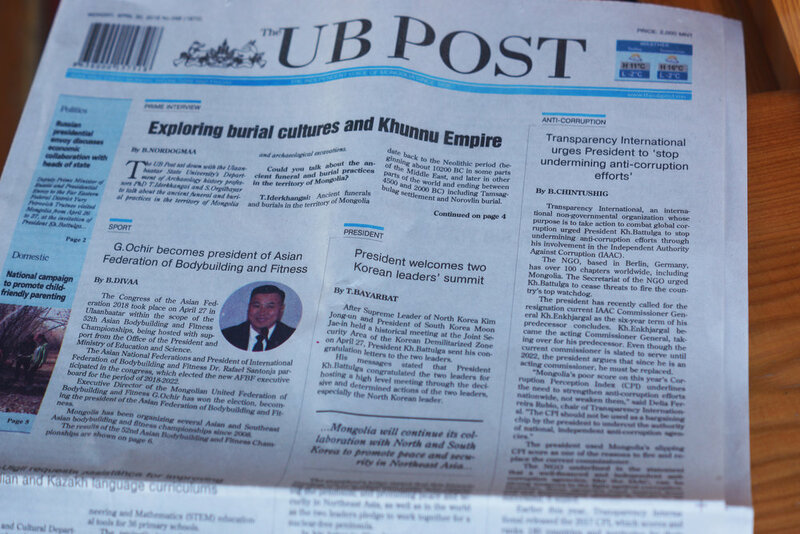 Front page news in Ulaanbaatar. Unfortunately for Mongolia, it now seems unlikely that its role as facilitator between the two countries will reach the heady heights of hosting their leaders in a head-to-head meeting. Even so, the publicity of Mongolia’s credentials on the diplomatic stage have done no harm. Former president Elbegdorj is adamant Mongolia will continue to seek a role in regional diplomacy.